Stateless: Venezuelans Living Abroad Can’t Get Their Passports Renewed. They Need a Humanitarian Status, Now. 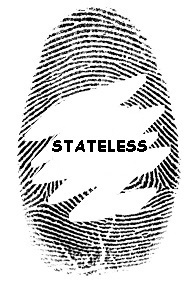 A blog about statelessness, migration, and refugees. 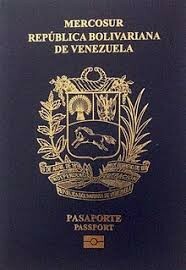 Venezuelans Living Abroad Can’t Get Their Passports Renewed. They Need a Humanitarian Status, Now. Missing! Have you seen this booklet? In case you were wondering, no, the UN cannot help you get a passport. With the exception of the refugee travel document, passports are issued by states. UN staff members receive a light blue laisser-passer denoting their diplomatic status, but this document does not and cannot replace their passport. In the modern world of international travel, the passport occupies the place of a mythic, sacred object, a talisman of incredible power. But why would my friend, a well-traveled and successful professional, be having trouble getting a passport? Turns out the Venezuelan government has stopped issuing passports, or any documents for that matter, to anyone, abroad or in Venezuela. Oh, I’m sure if you know the right people, you can still get one. But most people are simply out of luck until the government decides to start doing its job again. Apparently, the Venezuelan government has signed legislation allowing expired passports to continue to be used for visa purposes, but it is unclear if such documents will be accepted by other countries. (The reasons for the sudden shortage of passports stem from the official claims of lack of paper and ink to rumors that the government wants to prevent people from leaving.) The Venezuelan government can sign whichever laws it wants, nothing can force, say, the government of the United States to put a visa in an expired passport. In the meantime, other countries need to come up with a plan for any Venezuelans who are left stranded without documents. Much of the news coverage of Venezuela and passports has focused on the mass exodus to neighboring countries, but the passport issue will effect Venezuelans living all over the world. It is problem for which all governments will have to find a solution. The Irish government is apparently already aware of the problem, but doesn’t seem to have come up with a solution yet. The easiest solution would be to provide Venezuelans without documents a temporary humanitarian visa and travel document. But whatever the solution, governments should take steps to resolve this now, and not wait for large numbers of people to be left stranded without a solution. Heather Alexander. Picture Window theme. Theme images by quidnunc. Powered by Blogger.